Create an amethyst style necklace with seed beads, glitter, resin and faceted beads. 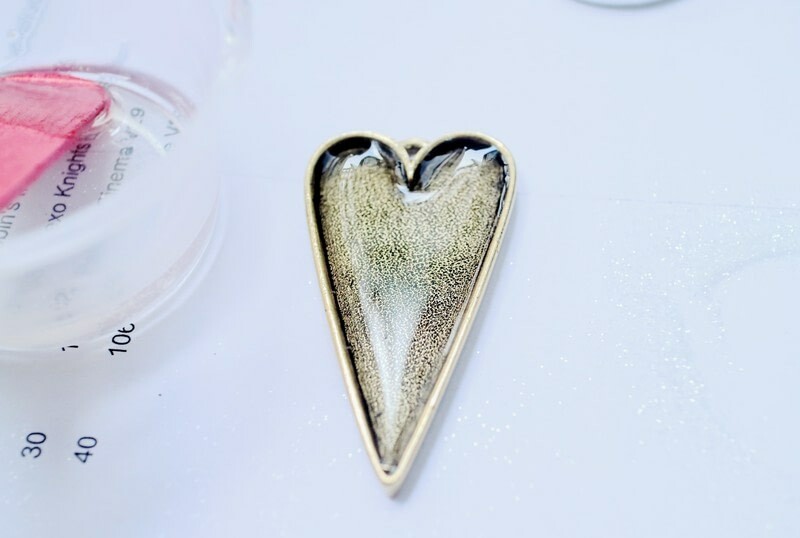 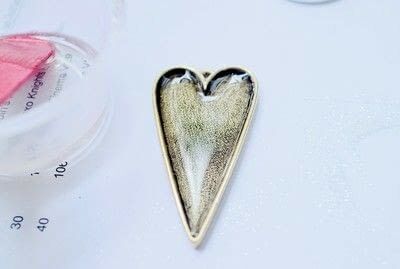 Mix the resin with the hardener and fill half of the pendant base with resin. 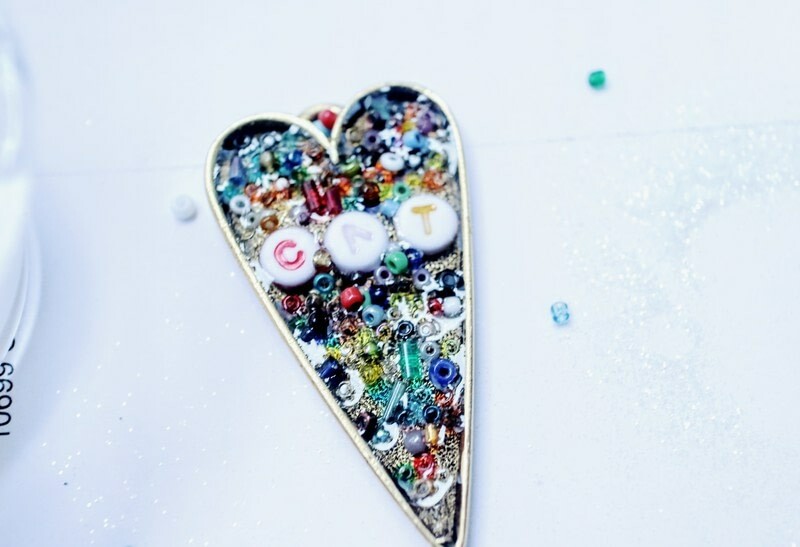 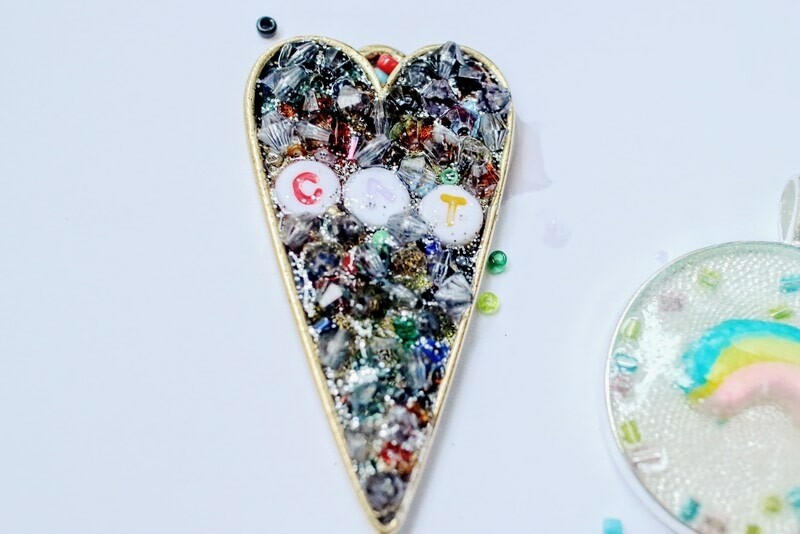 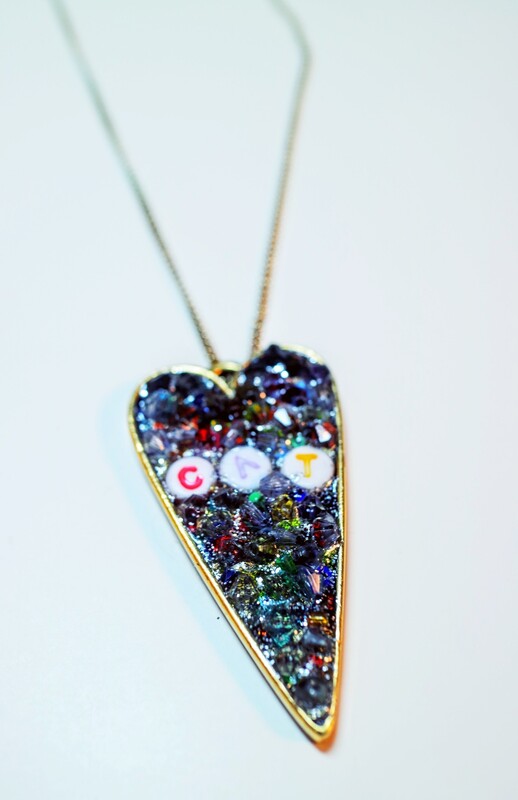 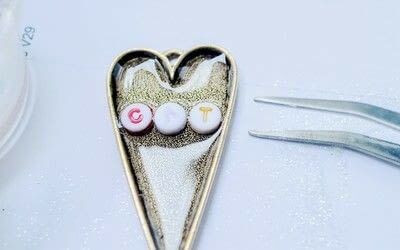 Use tweezers to place the letter beads for your name in the pendant. Sprinkle seed beads around the rest of the pendant base and sprinkle with glitter. Press the faceted beads into the resin, pushing the seed beads to the bottom of the pendant base. 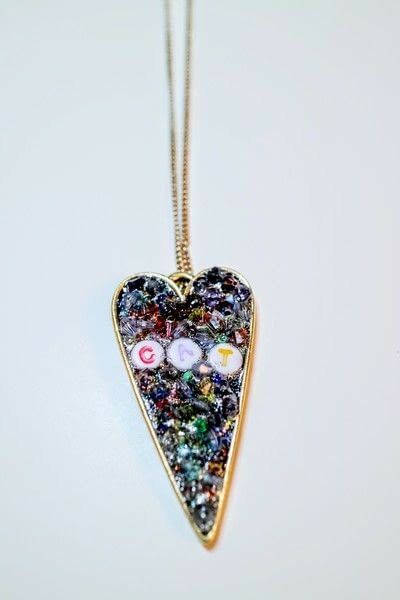 Leave to harden overnight and then wear on a necklace chain.